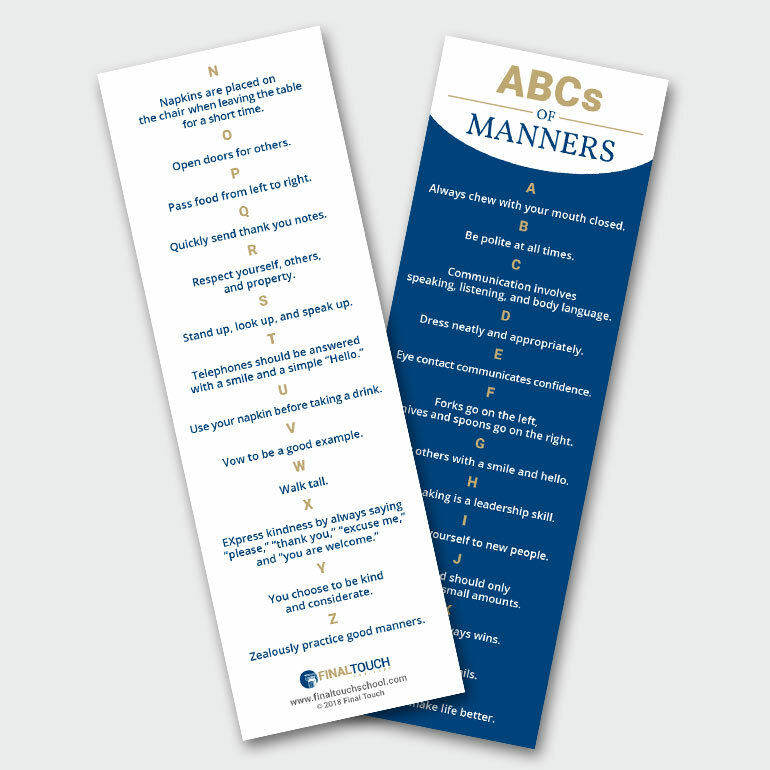 The ABCs of Manners Bookmark is a useful gift or teaching tool for people of all ages! Bookmarks are sold in packs of 10 for $5.00. The ABCs of Manners Bookmark is a useful gift or teaching tool for people of all ages! 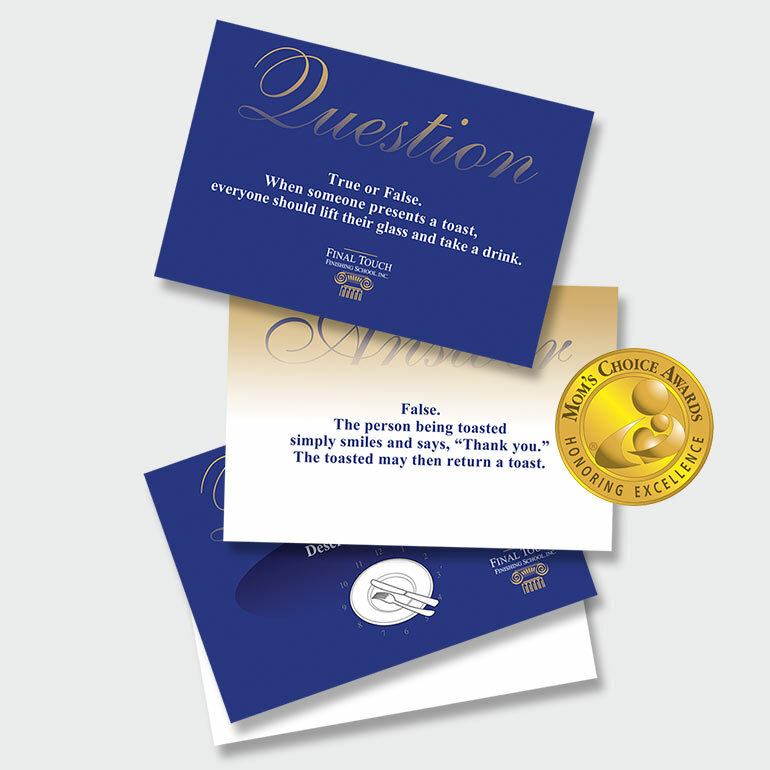 The bookmark is a constant reminder of timeless etiquette guidelines that will enhance your social skills. 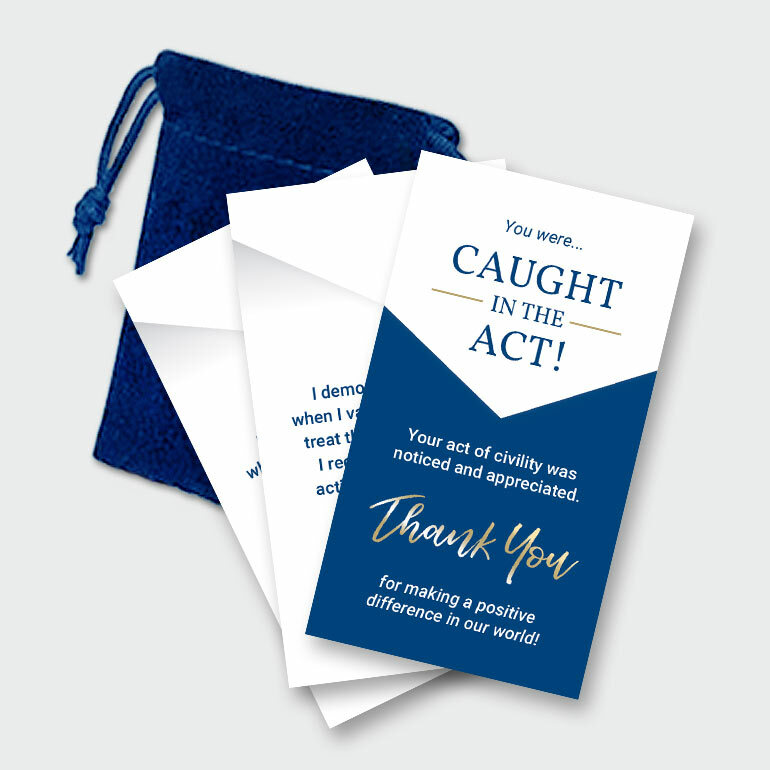 Details: The bookmark is printed on 2″ x 6″ glossy card stock. Bookmarks are sold in packs of 10 for $5.00. 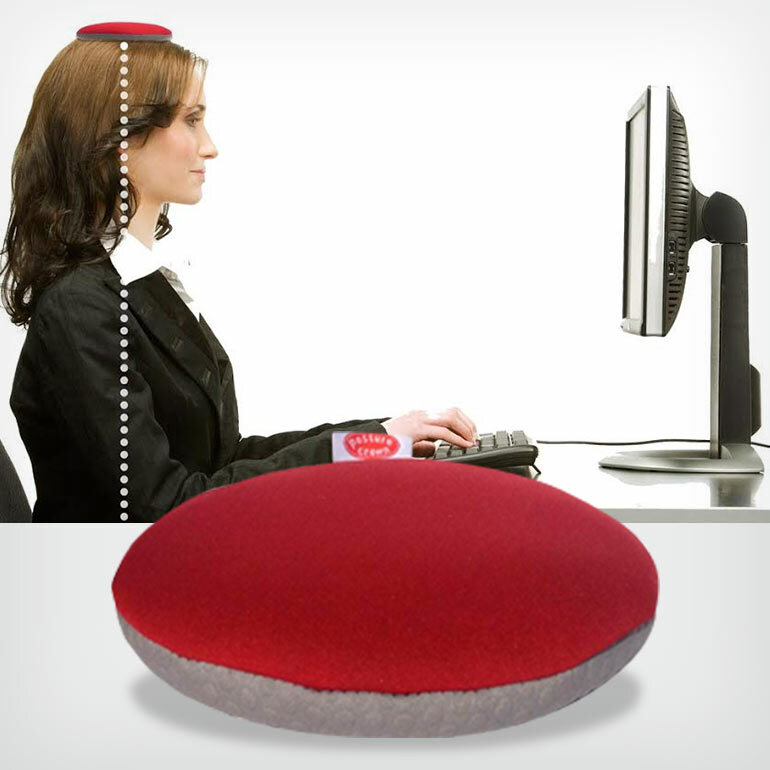 Please contact us for bulk pricing options.